Available in standard version (160×160×100 mm) with RX231 MCU, miniature version (80×80×80 mm) with RX130 MCU and slim version (100×100×20 mm) with RX130 MCU. Solution have passed class B testing for IEC 61000 4-3 level 3 and 4-6 level 3 noise immunity standards. 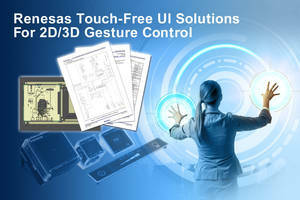 Allow customers to easily implement interfaces in their embedded equipment. 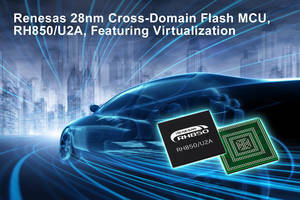 Equipped with up to four 400 MHz CPU cores in a dual core lock-step structure and is based on 28 nm process technology. 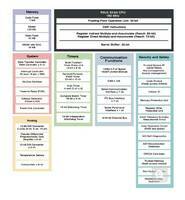 Features set of networking interfaces such as SGMII-standard 1 Gbps Ethernet communications and a CAN-FD. Suitable for operations in chassis/safety, body, domain control and low-end/mid-range gateway applications. 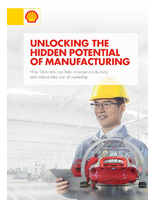 Embedded with 120 MHz Arm® Cortex®-M4 core and advanced security. Feature 512 KB flash memory, 256 KB SRAM memory, 1.3 μA in standby mode and a power consumption of 100μA/MHz in active mode. Offered with encryption hardware accelerators such as RSA, DSA, AES, ECC, SHA and true random number generator. 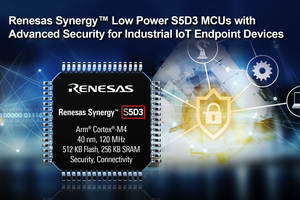 Features virtualization-assisted functions that allow multiple software components to run on a single MCU without interfering with each other. Enhanced built-in self-test (BIST) functionality for MCU self-diagnostic fault-detection necessary to implement ASIL D. Enhanced networking functionality, including Gigabit Ethernet interface for high-speed transfer of sensor information. DIN rail-mountable controller maintains minimum footprint with dimensions of 49 x 100 x 72 mm. Eight 24 V digital inputs and four outputs built into the device and able to leverage feature-filled TwinCAT 3 automation software. 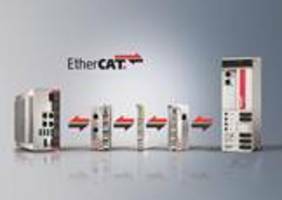 Extends the range of Beckhoff controllers to include both ultra-compact controllers that can act as distributed control devices on EtherCAT network. 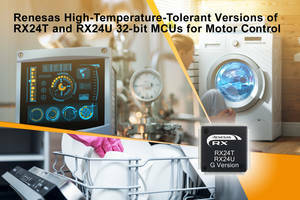 RX24T covers 11 models with pin counts ranging from 64 to 100 pins and memory sizes from 128 KB to 512 KB. RX24U covers 6 models with pin counts ranging from 100 to 144 pins and memory sizes from 256 KB to 512 KB. 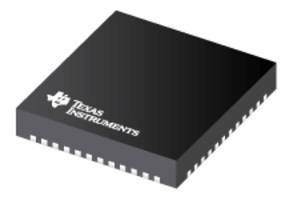 Both MCUs support operating temperatures ranging from −40°C to +105°C. Fiber Reinforced Polymers (FRP), represents a truly groundbreaking advancement in structural reinforcement. Lightweight, strong, and green, they are changing the way the construction industry thinks about rebar. Unlike steel, FRPs don&apos;t rust and are far stronger than standard rebar. 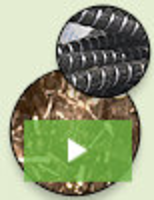 To learn why Fiber Reinforced Polymers are poised to change the way the world builds, see our video.